Varsatile and capable small format passive stereo mixer with four XLR inputs, tape in/tape out, and two sends for monitor of effects. 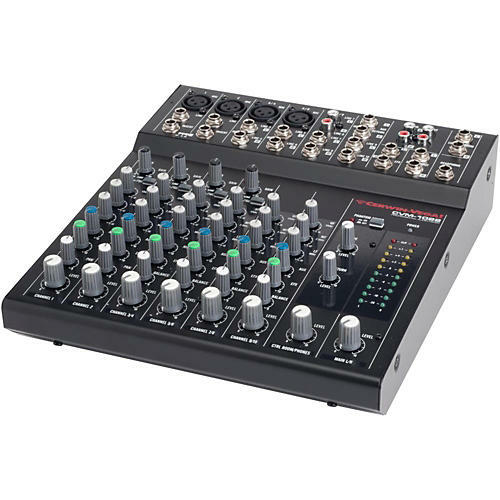 The CVM-1022 10-Channel Professional Audio Mixer fits your work area and is built tough to travel. Featuring the same 3-band equalization and AUX & EFX bus flexibility as the larger models, this 10-channel mixer is everything you need to take control of your sound.